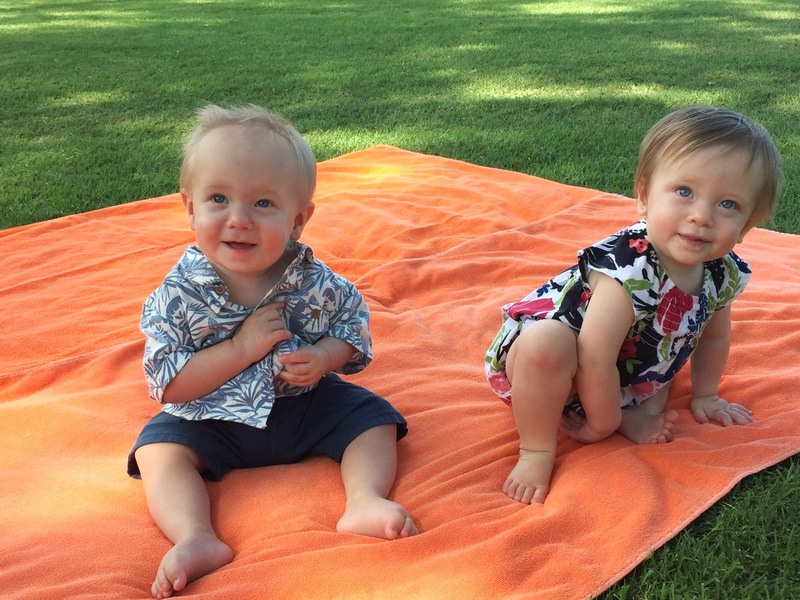 Meghan and Doug Klepacki are forever grateful for the care their twins, Hannah & Wesley, received at Mercy Southwest’s Neonatal Intensive Care Unit (NICU). To show their gratitude Meghan and Doug, along with their parents, made a gift to the Friends of Mercy Foundation designated to supporting Mercy’s NICU. Wanting to make an even greater impact with their gift, Doug requested a matching gift from his employer – California Resources Corporation. On February 8, Meghan, Hannah & Wesley returned to Mercy’s NICU and were reunited with the nurses and doctors that had cared for them the first two months of their lives. Although it had been almost a year, Meghan instantly remembered the “angel” nurses that had cared for her babies when they needed it the most. Thank you Klepacki family for joining us in our healing efforts. Your generosity will allow our highly trained caregivers to provide the best care to our tiniest patients with the best equipment and technology. 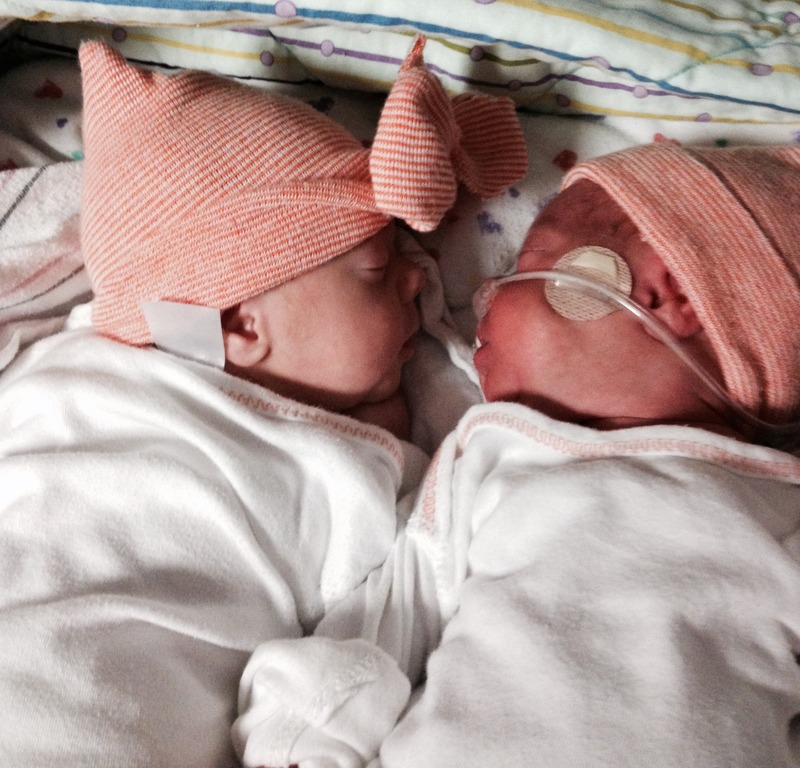 Our twins, Wesley & Hannah, were in your NICU from October 17th - December 24th, 2015. I just wanted to express how grateful my husband Doug and I are for the care they received at your NICU. Every single nurse (and I think we had the chance to meet all but a couple!) was so professional, friendly and caring. Once we knew I'd be delivering early we became concerned with meeting the doctors of the NICU, but as we learned once they were born, the nurses have such an important role in every NICU baby's stay! I was so worried about the health and outcome of our babies and also really depressed about delivering them so early, and it was truly the team of nurses that made me feel hopeful and keep as positive of an attitude as I could. There were so many times when I would be watching a nurse care for our babies and I could see that it wasn't just a job for them, they really were passionate about what they were doing. 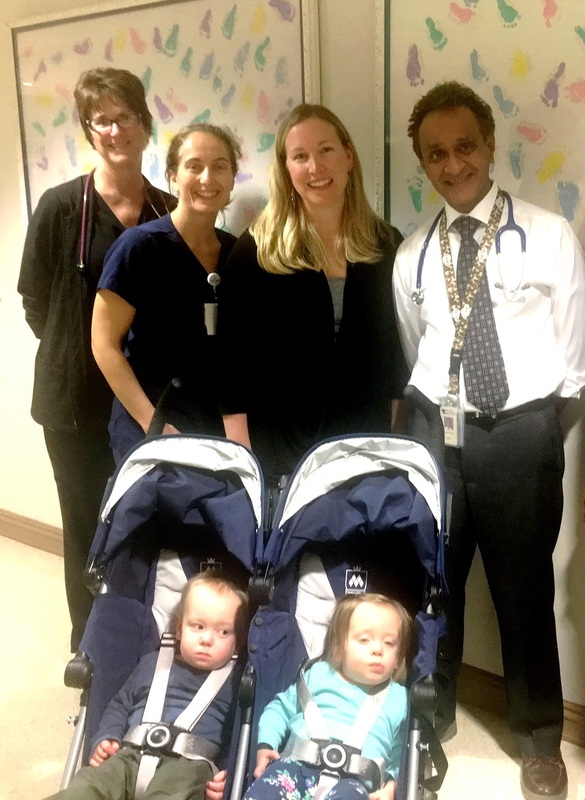 Likewise, Dr. Patel and Dr. Khurana always took the time to discuss the twins' progress with us, and could not have been nicer or more caring to our family. Although I was so excited when the twins were discharged, I was also sad that I wouldn't be seeing the NICU staff again, like I had been every day for the last two and a half months they were there. I have so many cute, crafty signs, footprints, and pictures that the nurses made for us - those are memories of moments that we didn't get to experience like most new parents and it was such a special and thoughtful gift that I know not every hospital NICU provides. You really have an awesome group! We will always remember the care Wesley and Hannah received from your team.